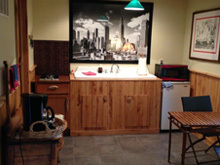 Remington is a newly renovated, lakeside cottage. 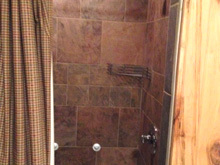 With a queen bed, sitting room, bathroom with tiled shower and a fully furnished kitchen, it is a perfect retreat for a couple looking for privacy and relaxation. 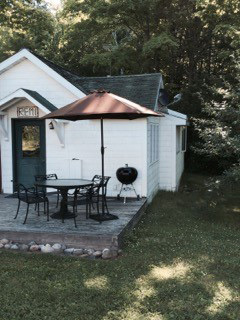 Overlooking the organic garden and with views of the lake, REMI is conveniently located to the trails, the docks, the beach and fire pit, which is perfect for family gatherings. 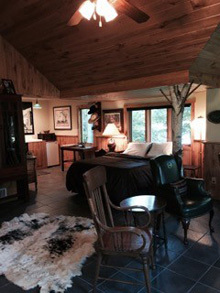 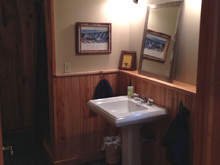 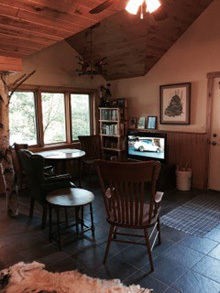 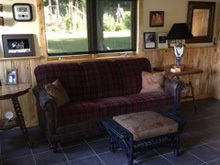 As with the Lodge and Timberdoodle, all amenities are included.